To live in Estrella del Sur is not an easy task. Four teenagers have grown up together in a violent environment, lacking any real hope for the future. The youth confront a "social purge" movement that threatens the very stability of their school district, and a new literature teacher will share their frustrations, struggles, and the tough lessons of daily life that threaten their dream to travel to the sea. 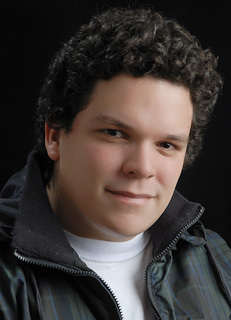 Gabriel González Rodríguez was born in Bogota in 1987. Rodríguez is a passionate film director, screenwriter, and producer, and has worked as a teacher and researcher in fields such as film history and film production. His debut feature film, ESTRELLA DEL SUR, was awarded by the Fund for Cinema development of Colombia in 2008 (Screenwriting) and 2010 (Production), was selected for the Unpublished Scripts Contest in the 31st Havana IFF in 2009, and premiered in 2013. He is currently working on two feature film projects to be released in 2014. Production Companies: Paralelo Producciones Ltda.